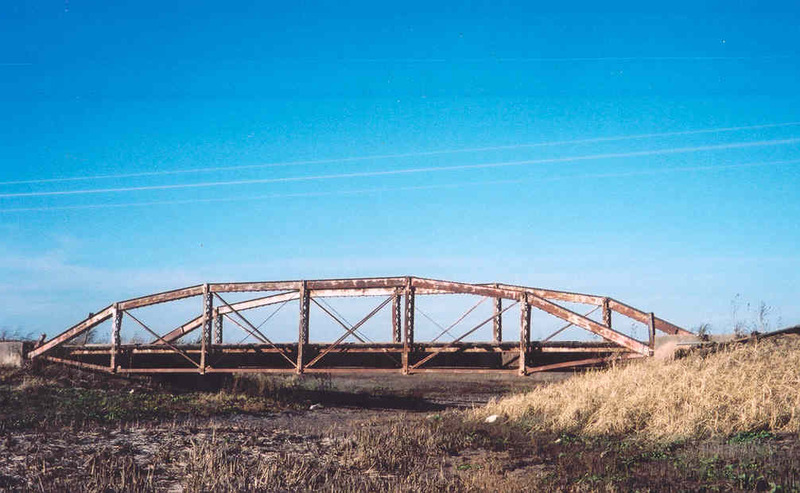 Bird Nest Creek Crossing, Kay Co.
One of the most interesting bridges to come out of Kay County was this bridge off of US 77 south of Tonkawa. After seeing a postcard from the Blackwell area at Bridgepix, we may know the origins of this bridge. It appears that this bridge was once part of a multiple-span bridge crossing the Chikaskia River on US 177, just north of Blackwell, a location only 15 miles from here. 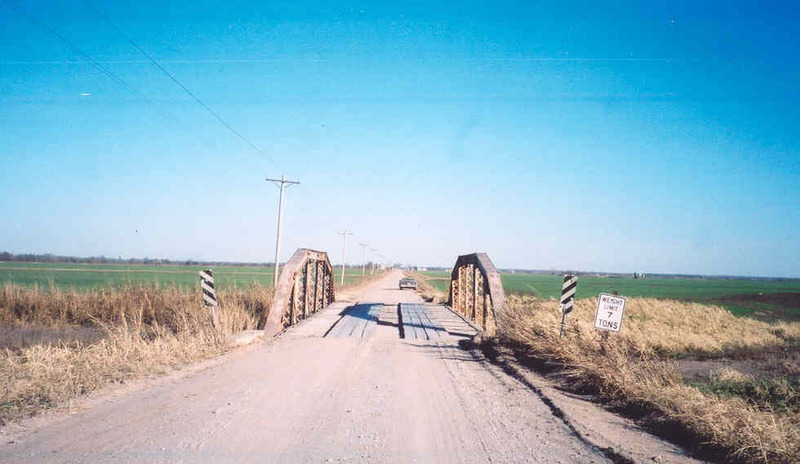 This bridge appears to have been in use at least into the 1940's. 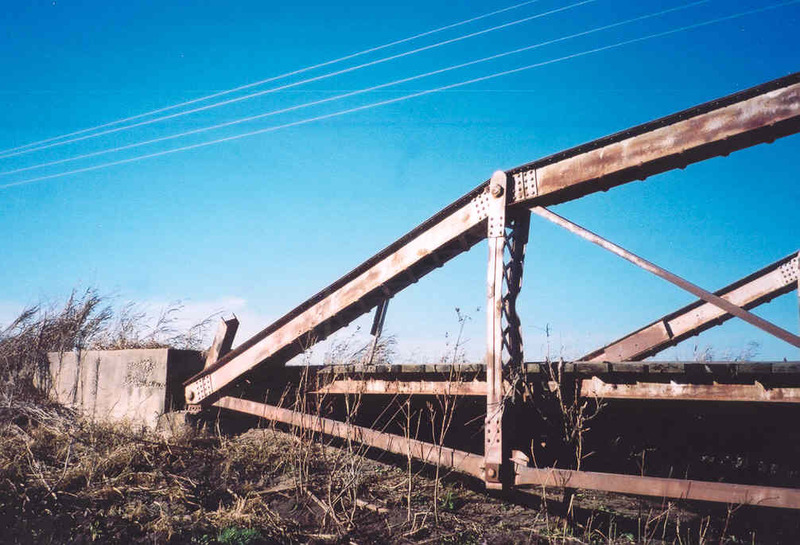 Built in 1915, this pony truss bridge is a "fish belly" Pratt. The photo below will help to clarify this. This photo shows a perfectly flat side view of the bridge. It is 92 feet in length and is six-panels, pin-connected. You will notice that the lower chord in the end panels is not level, but is inclined upwards. Below, a closer side shot. 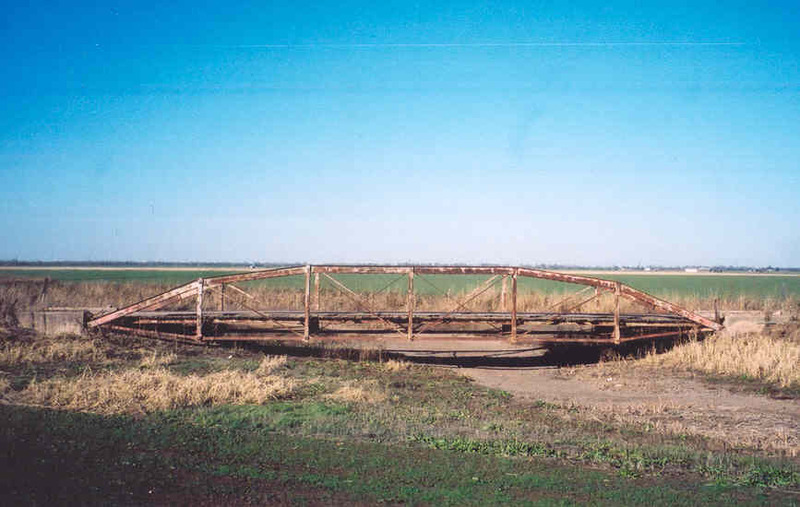 This unusual bridge crosses a stream where water is very intermittent. Below is a close-up of the end panel and the fish belly, or inclined lower chord. The object of inclining the lower chord is to make the bridge more stable by having the floor beam above the lower chord. Being mounted above the lower chord, the vertical posts can be more rigidly connected to the ends of the floor beams. Since the stringers at the abutment end of the end panels sit directly on the abutment, special abutments would be needed or an end floor beam would be needed. By inclining the lower chord, the same abutment could be used as for an ordinary pin-connected bridge. 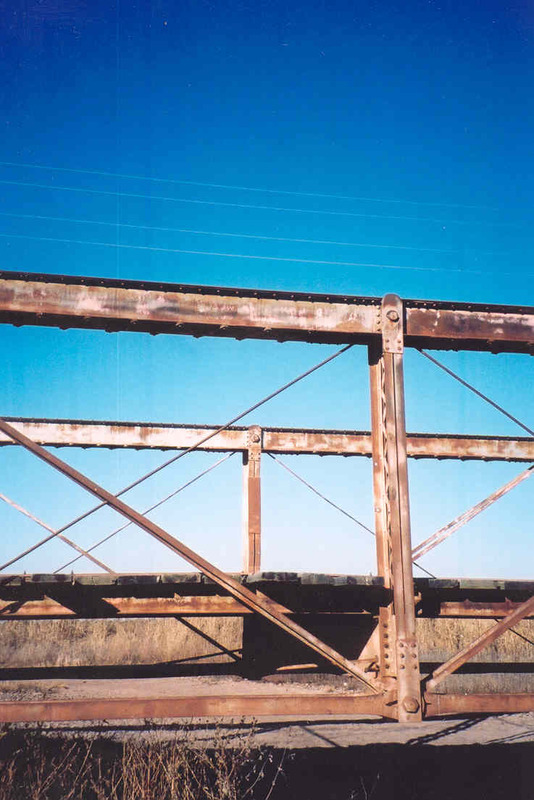 Below, in this photo you can clearly see the floor beam and its connection to the post.